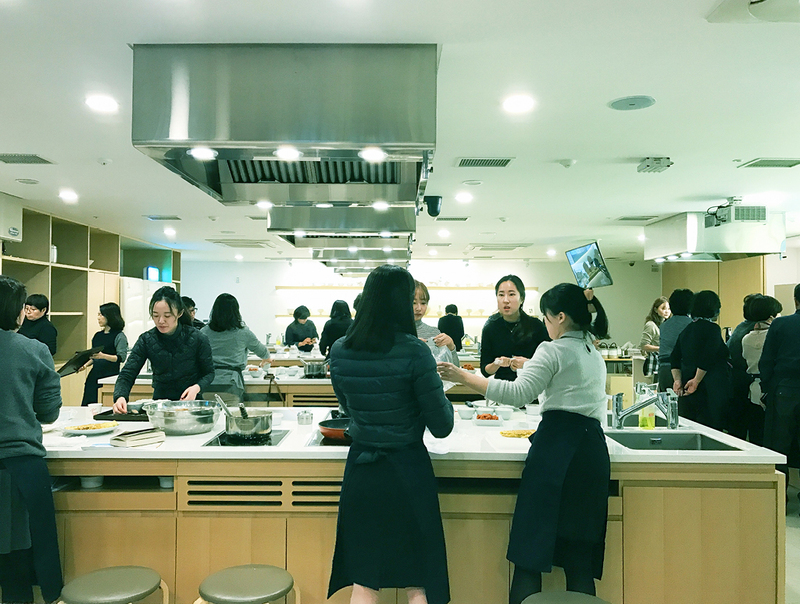 On the first morning of our visit to Korea, jet lagged and a bit disoriented, we asked others where we should start, and we got a great tip. 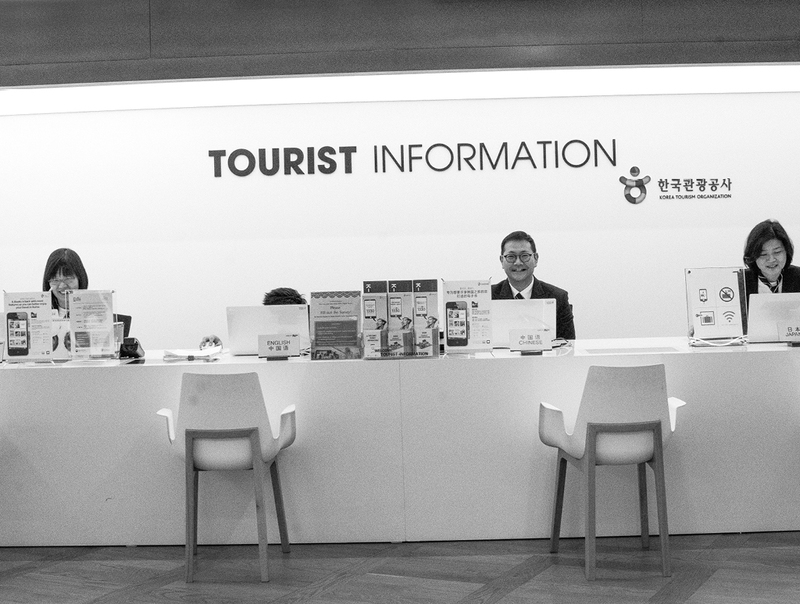 In central Seoul, the Korean Tourism Organization has established a multi-floor experiential information center. 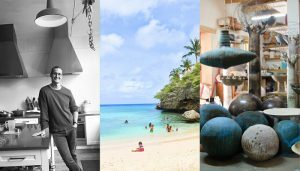 It covers all the key aspects of the country, with major exhibits on its history, craft and food traditions, medical tourism industry, and its media and entertainment stars (some of whom are famous worldwide). All this at no charge! 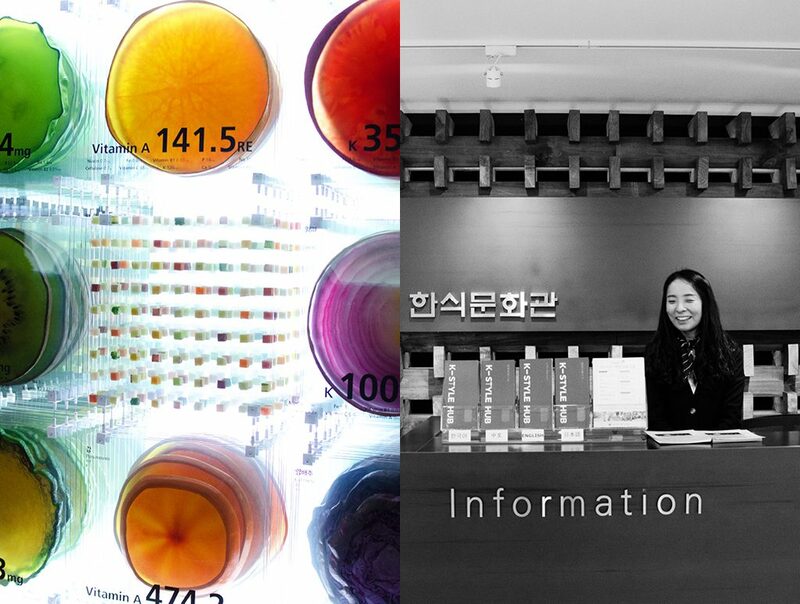 For many of Korea’s successful exports, the initial “K” is added to the beginning of their name indicating a uniquely Korean product. 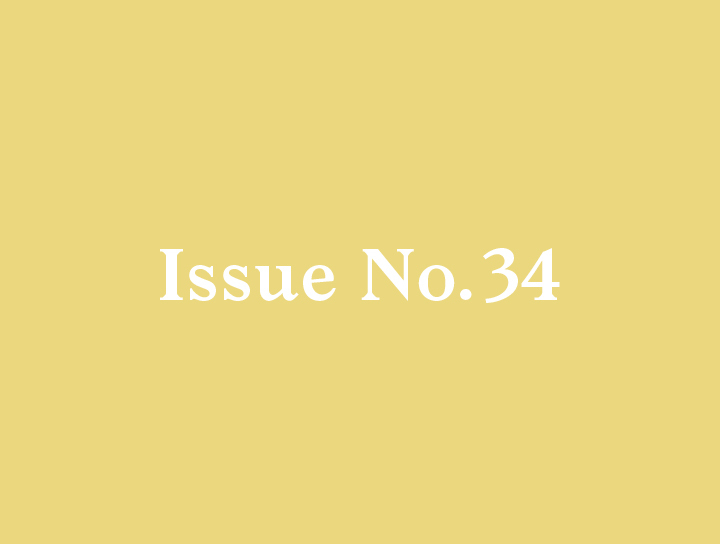 K-Pop and K-Drama are the most prominent examples. 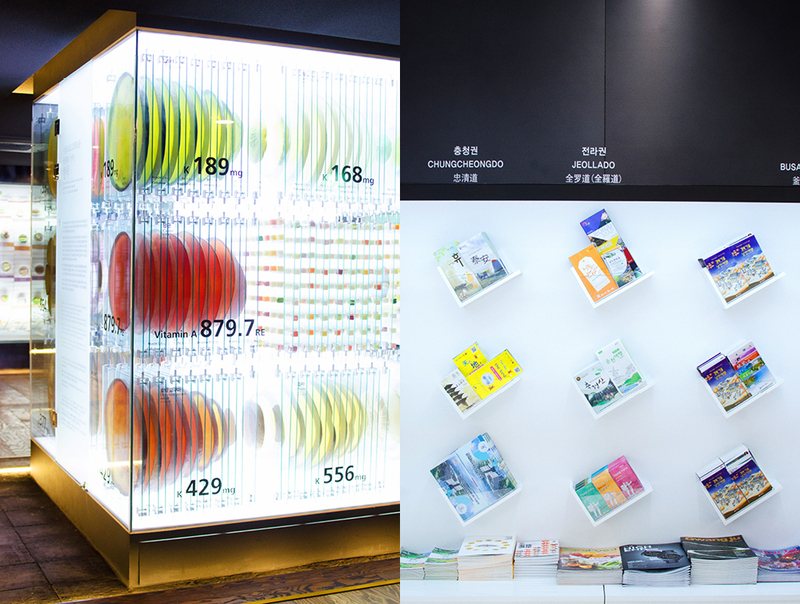 Following the fad, Korean Tourism named their experience center the K-Style Hub, fitting nicely into the genre of uniquely Korean products designed especially for a worldwide audience. It wasn’t far from our hotel so we walked over. The K-Style Hub building sits next to the Cheonggyecheon stream, a 7-mile long public space right in the heart of downtown Seoul, which makes for a great morning walk. 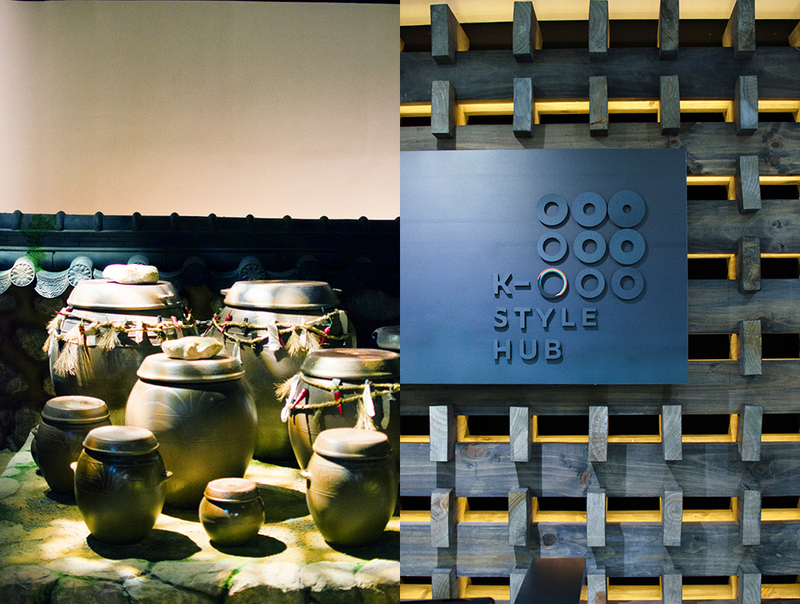 But if you are staying further away, K-Style Hub is centrally located and easily accessible by public transportation from anywhere in Seoul. 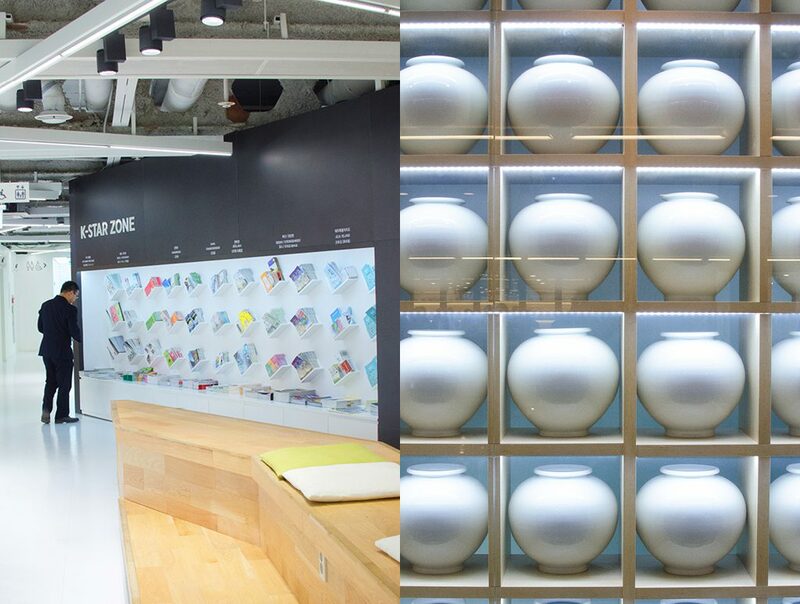 The Hub spans five floors, each devoted to a different aspect of Korea, with knowledgeable, friendly staff on each floor ready to answer your questions on design, traditional craft, food, the upcoming Winter Olympics, the arts, modern medicine, traditional healing, and the most prominent of Korea’s exports, K-Pop and K-Drama. 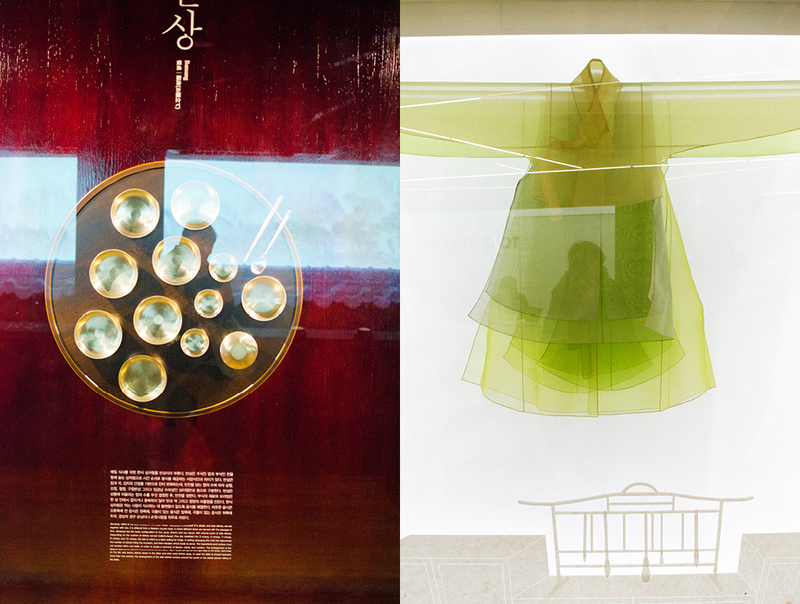 Entering the lobby we are greeted by the “Jangseung”, or Village Guardians. 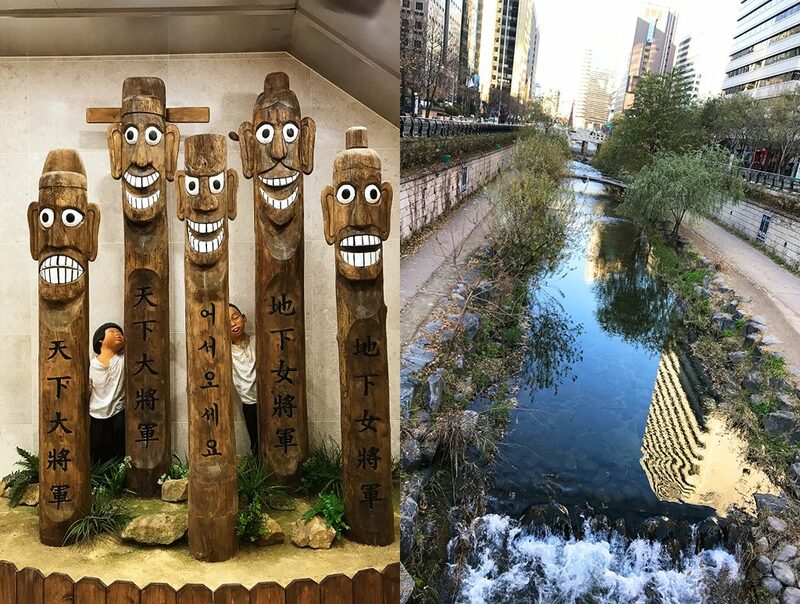 Carved from tree trunks, they can be found all over Korea strategically positioned at village entrances to ward off evil spirits. 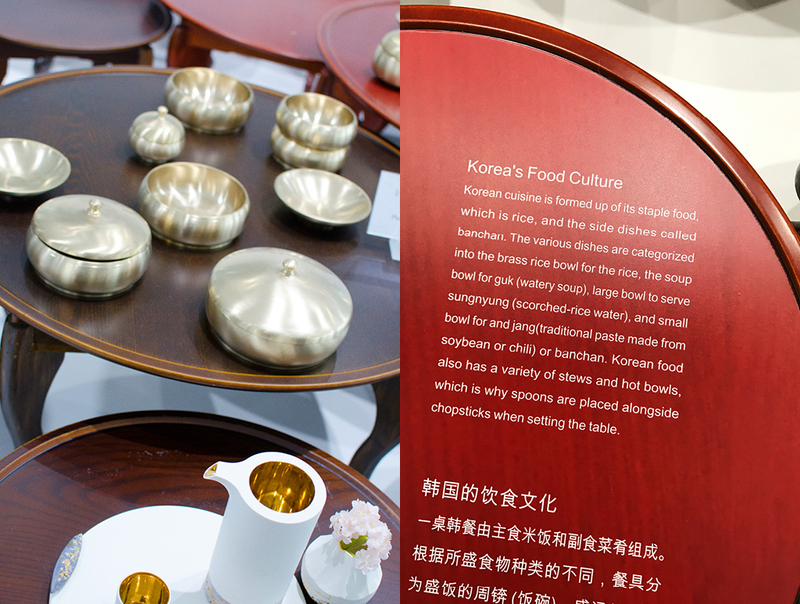 The second floor houses the reception area, the Cafe, and exhibits promoting various medical and entertainment industries that you can arrange to see during your stay in Korea. I have to admit I don’t know much about K-Pop, but my visit got me up to speed with some of the most popular acts, like Big Bang, Psy, 2ne1, G-dragon, and Rainbow. High-tech displays project your image into scenes with your favorite stars, giving you a chance to interact virtually with Korean pop royalty. 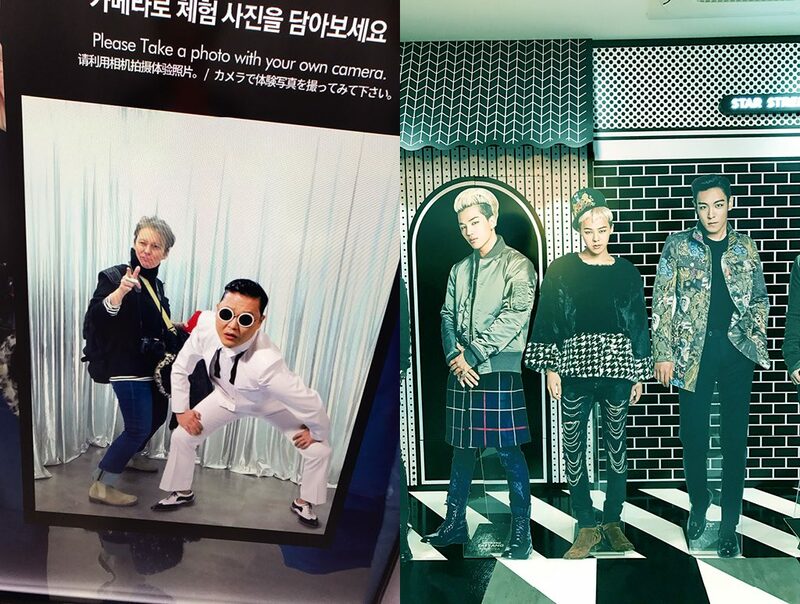 After trying out several of the virtual video booths, I decided to pose with Psy for a photo. Psy of “Gangnam Style” fame is one K-Pop star I know. 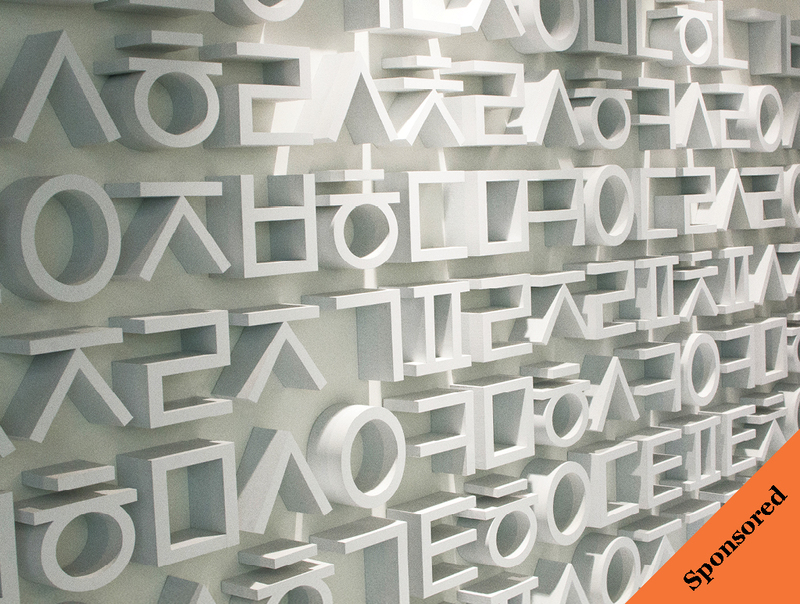 On our way up to the third floor, we pass a wall covered floor-to-ceiling with “Hangeul” characters of the Korean alphabet. This floor is devoted entirely to Korean food, a topic in which I am very interested. One of the staff greets us and starts us on a tour. Starting with traditional dishes, I snap photos of the dishes that looked like good things to try. The large wooden menu panels with photos and detailed descriptions are really useful for getting up to speed on what to order at restaurants during our stay. 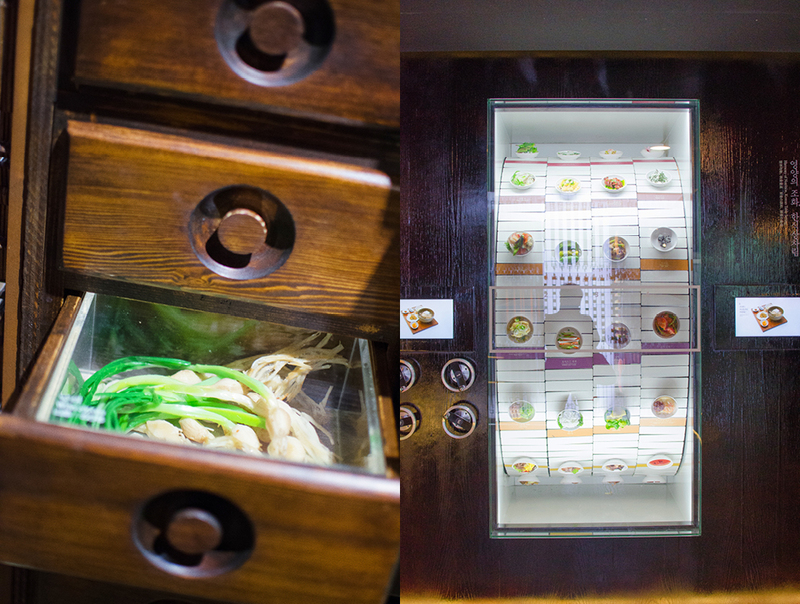 Then moving on to ingredients, our guide walks us by the display cases, explaining each vegetable we were unfamiliar with and letting us smell the traditional spices. 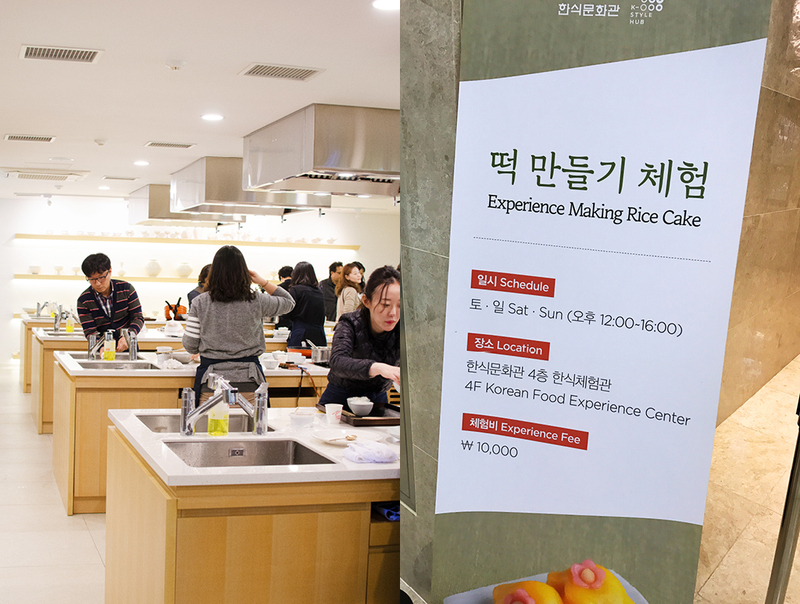 The tour ends with the fermentation and food storage methods unique to Korea. 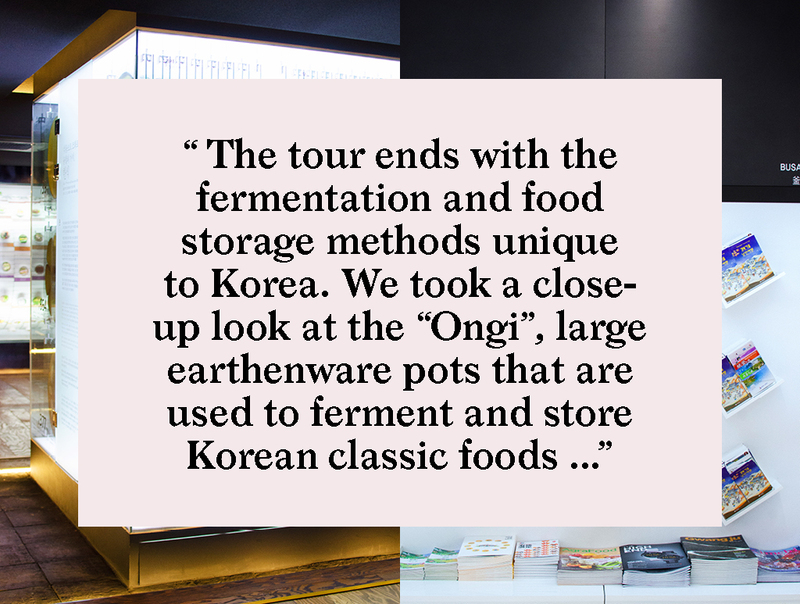 We took a close-up look at the “Ongi”, large earthenware pots that are used to ferment and store Korean classic foods–Kimchi, Duengjang, and Gochujang. 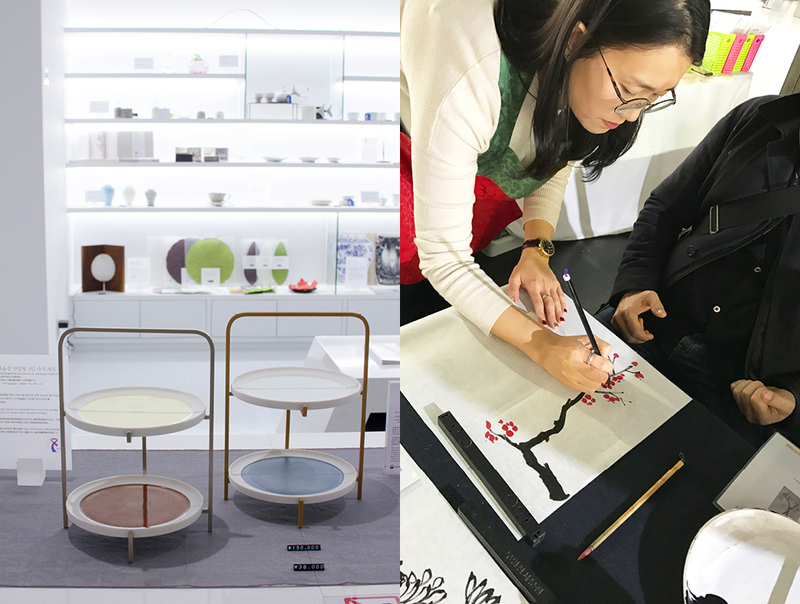 The next floors are dedicated to hands-on cooking instruction, product design, fashion, and crafts. We arrived just as a “Sumukhwa” class was about to start. 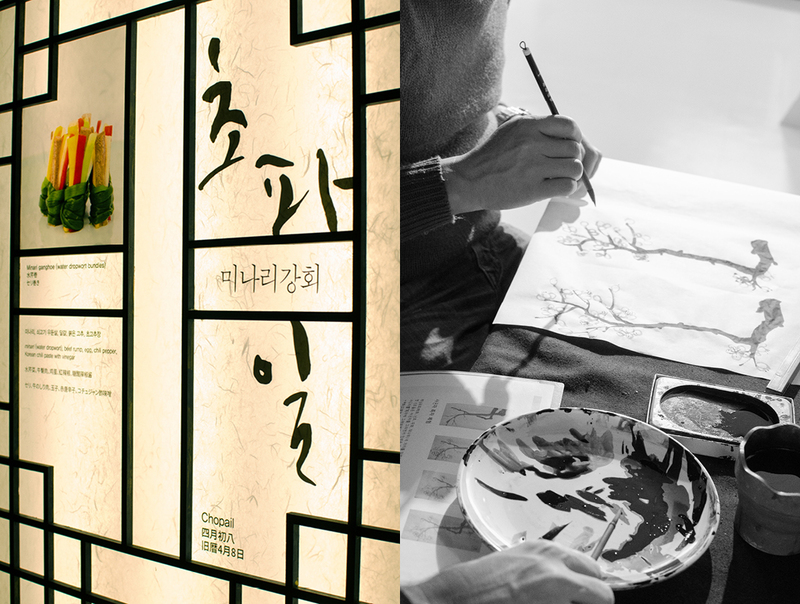 Sumukhwa is the art of Korean Brush painting and we sat down to have a go. Our instructor made it look effortless. 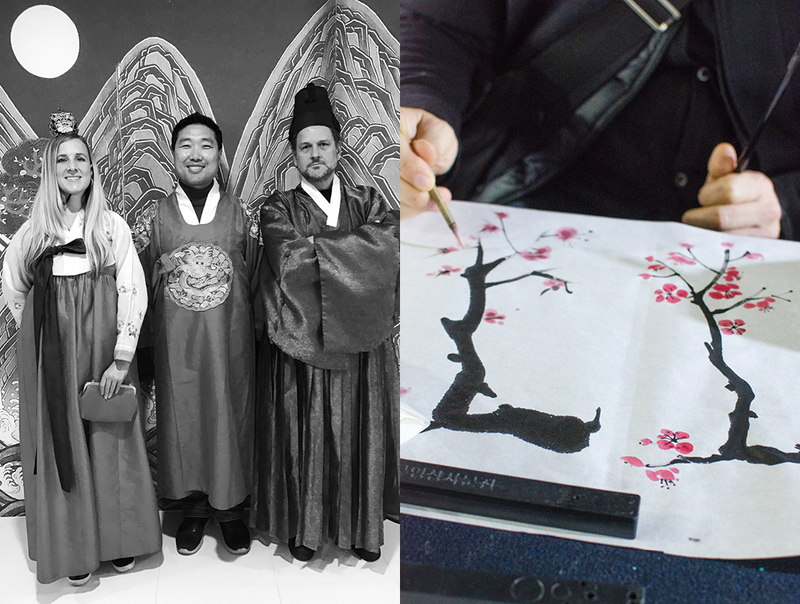 We, on the other hand, were a bit challenged, but we were thrilled to have a chance to get hands-on with traditional Korean arts. 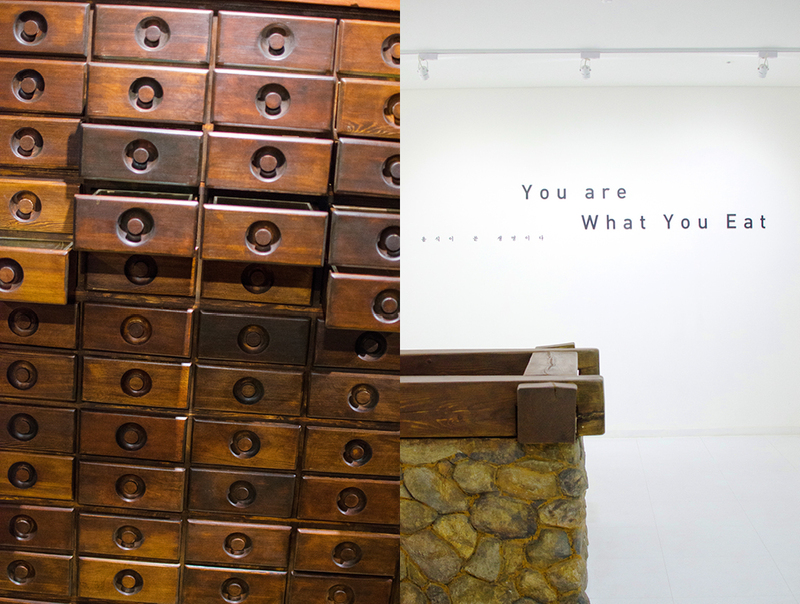 There were so many fascinating things to see and do at K-Style Hub, that we totally lost track of time and spent most of the morning there. 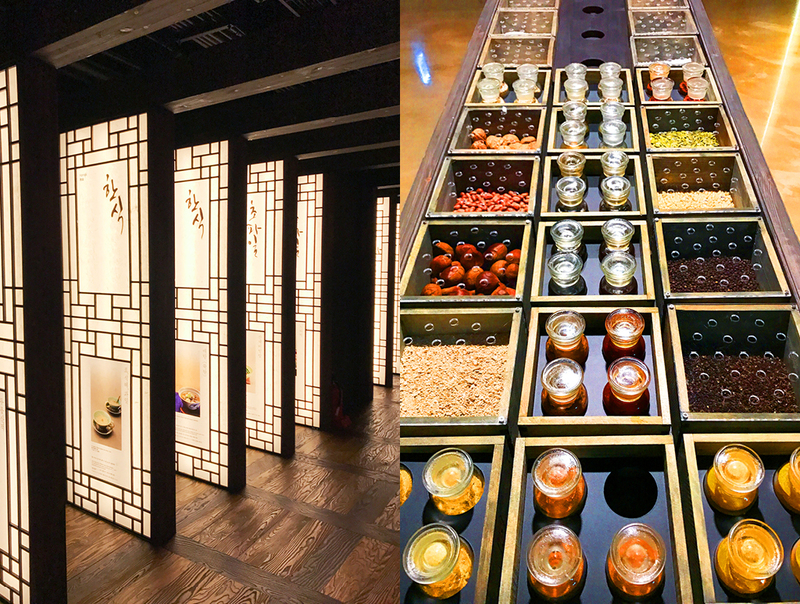 It’s a great place to get your bearings, learn a bit, and build your itinerary, to explore Seoul and beyond: the best way to start your trip. 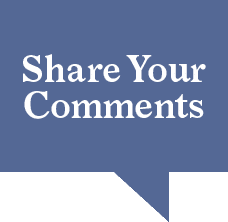 Planning a visit to Seoul, South Korea?